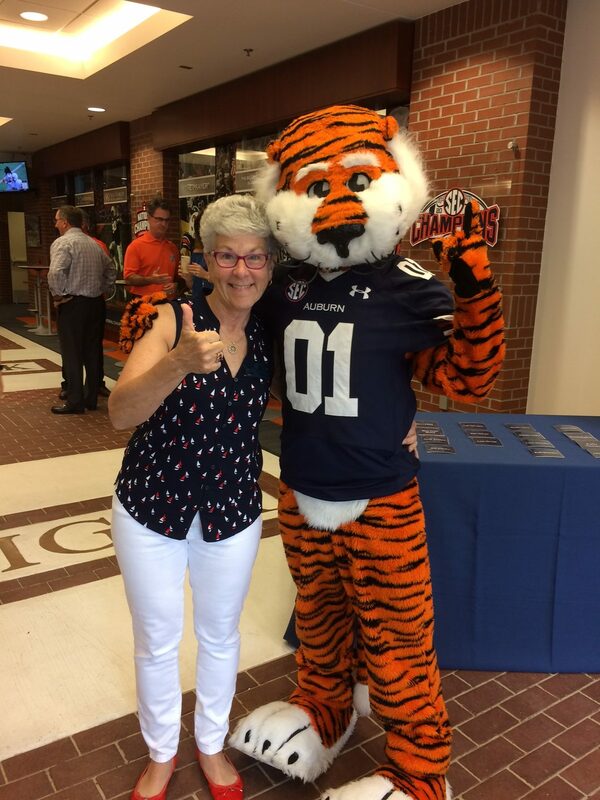 I came to Auburn as a transfer student in Civil Engineering. I was already in the Co-Op program from the community college and worked at Alabama Power. My student memories focus on study and trying to survive financially … I did! As a result, I have always felt I needed to ‘pay back’ what I received by endowing a scholarship and leaving a legacy for students like me who need financial help. I recently heard a story from one of my scholarship recipients. She said things were tough at one point and she questioned whether she’d make it through engineering. She called her dad to say she was quitting and changing majors. By chance, the scholarship letter had arrived that day and it helped her decide to stay. I’m so glad she did and I can see her leaving her own legacy at Auburn now by her philanthropy and volunteering.